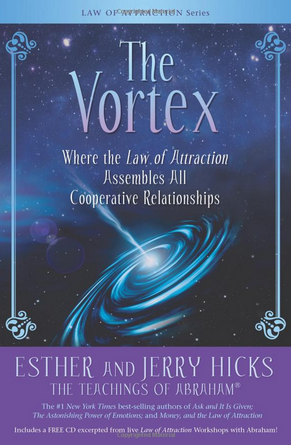 This International Best Seller is available on Amazon and Barnes&Noble. Amazing insights on how to open yourself to the Infinite Riches that have always been here for you and live the life of your dreams. 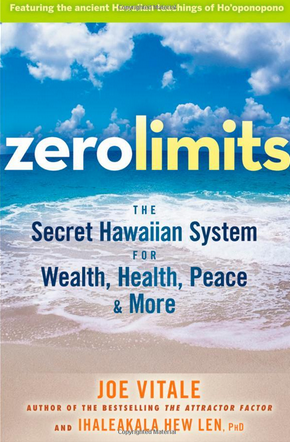 A Special Limited Time Offer: Buy this International Best Seller TODAY and get $100’s in Inspirational, Transformational Bonus Gifts provided by more than 80 experts. Click Here to learn more. 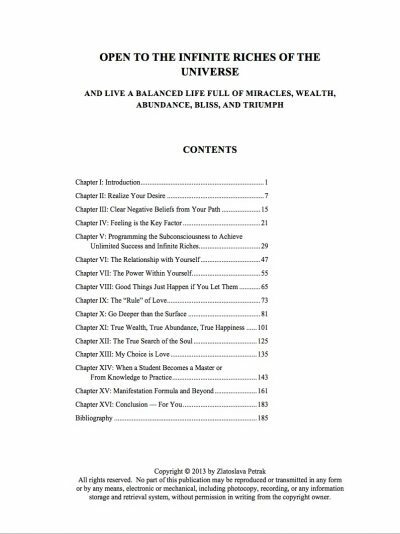 This book is designed in a way that will not only educate readers about essential principles of creation of wealth and abundance in all aspects of their life, but will also help readers to get rid of inner blocks and change negative inner beliefs that prevent people from opening to their fullest potential, achieving their dreams and goals, and becoming successful, wealthy and happy. 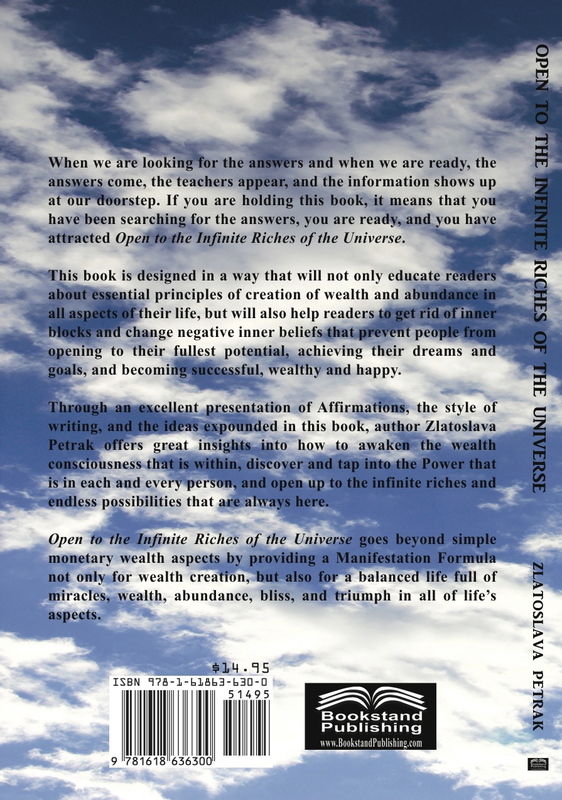 Through an excellent presentation of Affirmations, the style of writing, and the ideas expounded in this book, author Zoe Zlatoslava Petrak offers great insights into how to awaken the wealth consciousness that is within, discover and tap into the Power that is in each and every person, and open up to the infinite riches and endless possibilities that are always here. 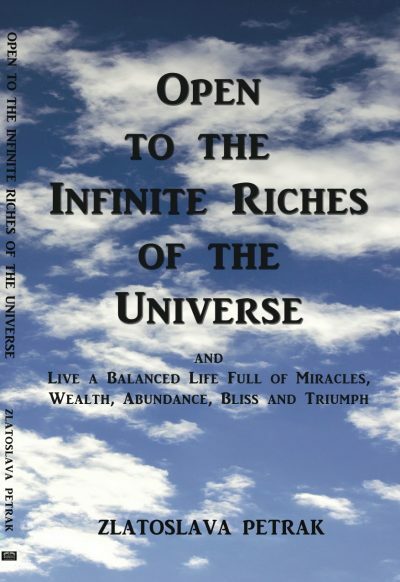 “Open to the Infinite Riches of the Universe” goes beyond simple monetary wealth aspects by providing a MANIFESTATION FORMULA not only for wealth creation, but also for a balanced life full of miracles, wealth, abundance, bliss, and triumph in all of life’s aspects. Copyright © 2013 by Zlatoslava Petrak. All rights reserved. No part of this publication may be reproduced without permission in writing from the copyright owner.